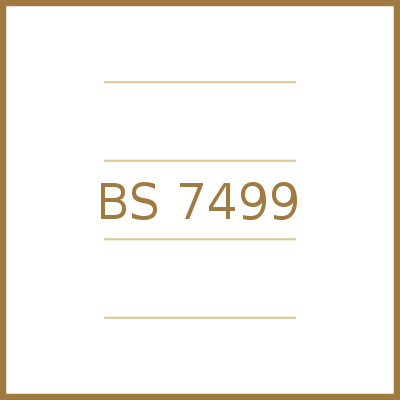 Certification BS 7499:2013 states the fact that the management system of the security and protection services is implemented in compliance with the requirements of BS 7499:2013 – Static site guarding and mobile patrol service. Code of practice, allowing access to important auctions, protecting both resources and the benefits that can be obtained if these are followed exactly. Security and protection services (execution, inspection, instructions, static locations, mobile patrol services, keys’ control). Anyone responsible for security systems in buildings. For additional details, please contact the Contracts Departament : 021.313.6335 int. 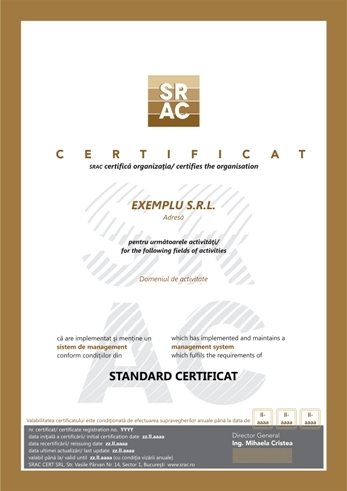 140-144, sales@srac.ro.